A random variable, usually denoted as X, is a variable whose values are numerical outcomes of some random process. 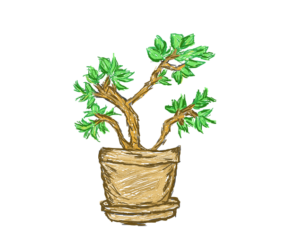 There are two types of random variables: discrete and continuous. 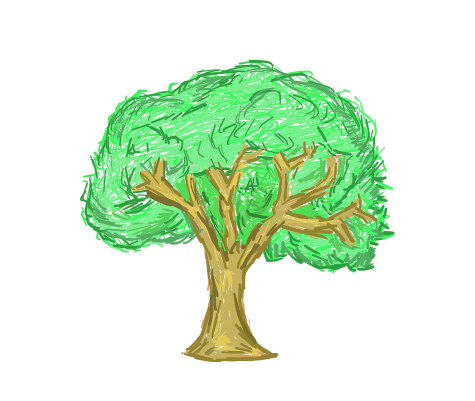 This section will focus on continuous random variables. A continuous random variable is not defined at specific values. Instead, it’s defined over an interval of values and is represented by the area under a curve called a probability density function. For example, suppose a restaurant advertises a burger that weighs a quarter-pound (0.25 lbs). Since weight is a continuous variable, it can take on an infinite number of values. 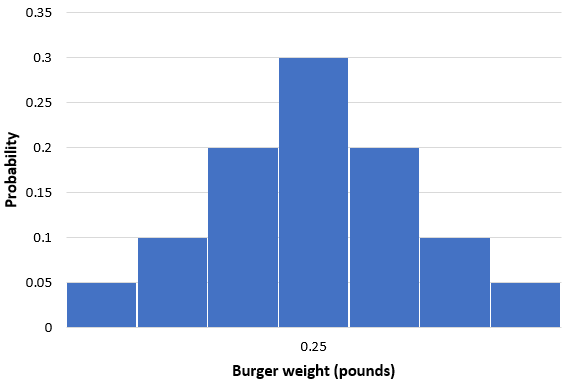 For example, a given burger might actually weight 0.250001 pounds, or 0.24 pounds, or 0.2488 pounds. 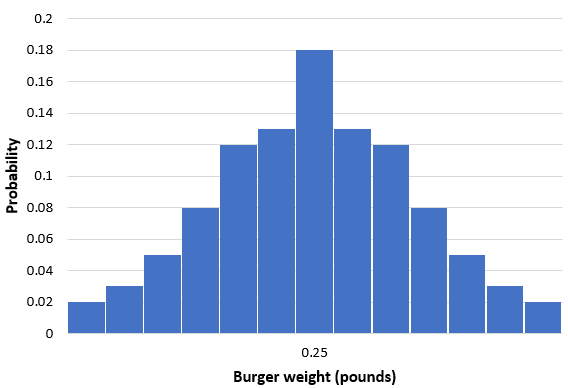 The probability that a given burger weights exactly .25 pounds is essentially zero. This curve represents the probability density function of our random variable weight. The total area under the curve is equal to one. We can use a probability density function to find the probability that a random variable takes on a value within an interval, but we cannot use it to find the probability that a random variable takes on a specific value. 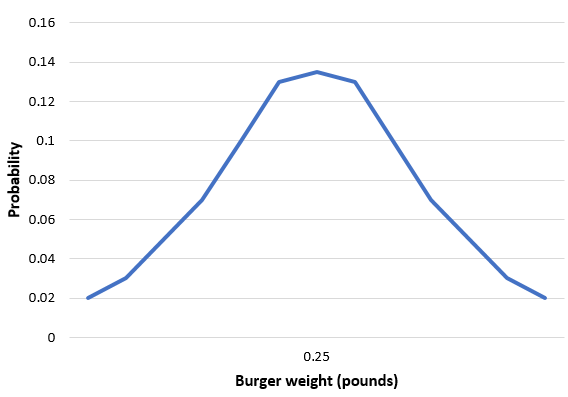 For example, we can use the curve above to find the probability that a burger weighs between 0.23 and 0.27 pounds, but we cannot use it to find the probability that a burger weights exactly 0.25 pounds. The most common continuous probability distribution is the normal distribution, which is described in detail in the next section.